With Mexico being one of the United States' largest international trading partners, shutting down the southern border - as President Donald Trump is threatening to do to combat undocumented immigration - would undoubtedly cause supply chain issues for goods and services produced in Mexico. Chief among those farm-to-table products is a signature ingredient in many restaurants' dishes: avocados. "Avocado supply would effectively dry up in as few as three weeks." Steve Barnard, president and chief executive of Mission Produce, the world's largest avocado distributor, recently warned that the U.S.' supply of avocados would effectively dry up in as few as three weeks should Pres. Trump make good on his threat, Reuters reported. 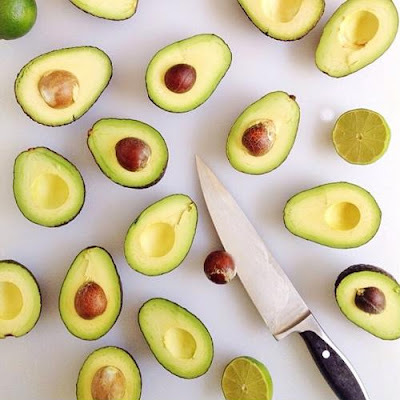 "You couldn't pick a worse time of year because Mexico supplies virtually 100 percent of the avocados in the U.S. right now," Barnard explained. "California is just starting and they have a very small crop, but they're not relevant right now and won't be for another month or so." Although avocados are of course not new, they've become increasingly popular within the last decade or so, particularly among Americans with discerning palettes. Indeed, avocado imports have tripled since 1999, Reuters reported. From avocado mango paninis to traditional guacamole, they're much beloved for their creamy consistency and unique flavor profile. But given that avocados require lots of sunshine and warm temperatures, they almost entirely grow in climates that receive year-round warmth. Fortunately, avocado trees bear some serious amounts of fruit, with just one yielding as many as 150 avocados per year, according to the California Avocado Commission. Yet should the southern border shut down as the Trump administration has warned, produce sections in grocery stores would be short of the supply it needs to adequately fulfill demand. Monica Ganley, a principal for the consultancy Quarterra, agreed that consumers would undoubtedly experience some of the ill effects of trade grinding to a halt. "When a border is closed or barriers to trade are put in place, I absolutely expect there would be an impact on consumers," Ganley told Reuters. "We're absolutely going to see higher prices. This is a very real and very relevant concern for American consumers." Undocumented immigration has been a long-simmering issue for legislators on Capitol Hill. Congressional Democrats point out that while it is a problem, it's not as big of an issue as Pres. Trump and other congressional Republicans contend. According to Customs and Border Protection officials, illegal border crossings totaled well over 100,000 in the month of March. That's the highest monthly total in 10 years, Fox News reported. Additionally, in the final week of March, CBP detained approximately 12,000 migrants, who remain in custody. "Mexico for many years made a fortune off of the U.S., far greater than border costs," Trump wrote on Twitter on March 29. "If Mexico doesn't immediately stop ALL illegal immigration coming into the United States through [sic] our Southern Border, I will be CLOSING the border, or large sections of the border, next week." Other fruits and vegetables that could be impacted by sealing the border include tomatoes, cucumbers, blackberries and raspberries, supply chain experts warn.